Every year over six hundred teenagers from schools in Chicago and its suburbs take part in a poetry competition. 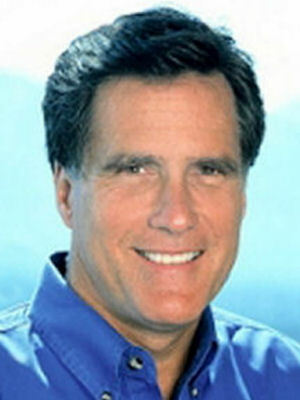 I find this amazing. At the rich, white high school I attended, if you had suggested having a poetry competition, you would have been laughed at. It was the considered opinion of my classmates – some of whom went on to Ivy League schools – that only “faggots” read poetry. These students from Chicago clearly don’t have such preconceptions. The students are formed into teams representing their individual schools. The teams have coaches. 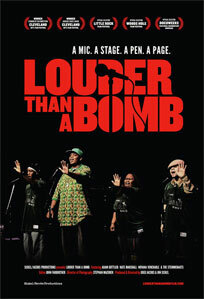 At the competition, which is called “Louder Than A Bomb”, audience members clap and cheer almost as if they are at a sporting event. This documentary by Greg Jacobs and Jon Siskel follows several students during the six month period when they are preparing for the competition. Perhaps the most affecting of them is Nova, who was physically abused by her alcoholic father, and who is intensely devoted to her developmentally disabled younger brother. Her poems have an honesty about them that is deeply moving. Much of the film is devoted to the team from Charles Steinmetz High School, who call themselves the “Steinmenauts”. Their mentor, Coach Sloan, is a stern disciplinarian who nonetheless genuinely cares about his students. At one point, the team undergoes a crisis when three members act up at a meeting, resulting in their being kicked off the team. They are readmitted after they deliver an emotional apology. The high point of the film comes when some members of this team perform a group poem about gang violence. Overall, I was deeply impressed by how talented the students in this film are. Their poems are much better than anything I could have written when I was their age. Louder Than A Bomb is not for everyone. It will be deeply offensive to people like Barack Obama and Michelle Rhee, as well as the producers of Waiting for “Superman”. No doubt they will angrily demand that these students should be studying for standardized tests instead of writing poetry.